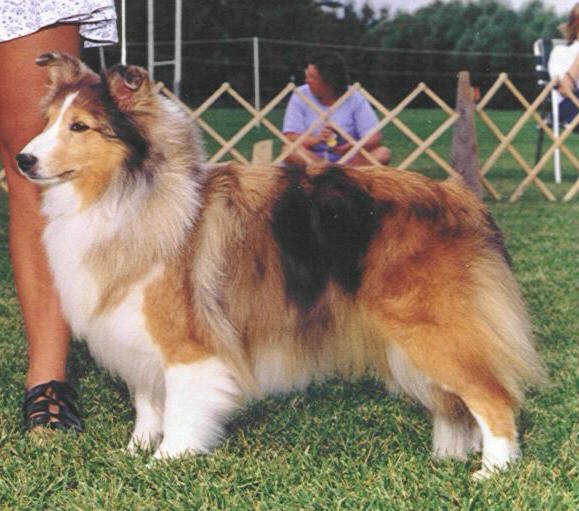 Cookie was owned and shown by Irene Dube. 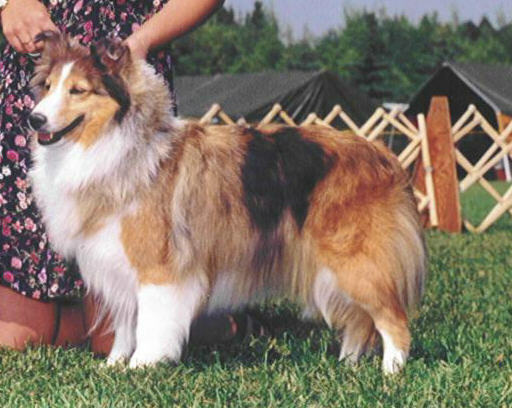 Irene did a beautiful job, proving that a novice can and does win with a good dog - even one as controversial (at the time) as a trifactored sable merle! Irene earned 3 five-point wins on Cookie in short order - congratulations, Irene.